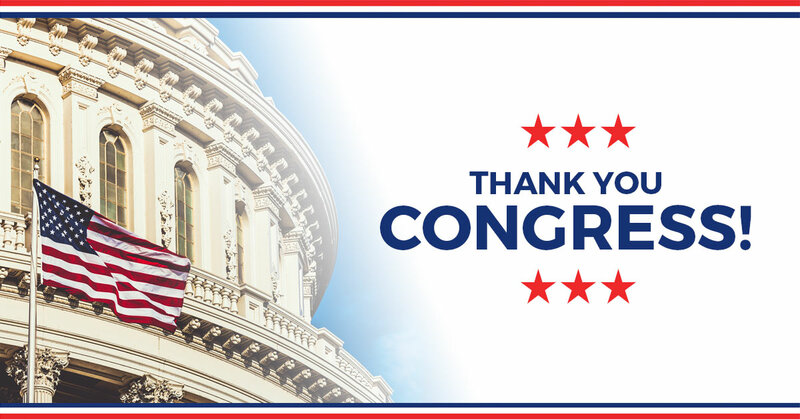 On behalf of the supporters of National Taxpayers Union (NTU), the nation’s oldest taxpayer advocacy organization, we are pleased to submit comments in response to the U.S. Postal Service’s Annual Compliance Report for Fiscal Year 2018 (FY 2017 ACR). NTU is committed to helping build a future for the U.S. Postal Service (USPS) that is sustainable for consumers as well as taxpayers. NTU and its supporters have long been concerned about the financial management of USPS and the impact of USPS’s business practices on the economy as a whole. NTU has been involved in postal reform issues since the late 1970s, advocating for taxpayers, consumers, and businesses on issues such as: pension liabilities from USPS’s existence as a federal department, the First Class monopoly, impediments to private-sector competition, managerial improvements, and rate-setting accountability mechanisms. We staunchly believe that taxpayers have a direct role in many aspects of USPS operations, personnel compensation policies, and infrastructure acquisition. From our comments to this commission in our 2017 ACR, we note “all of the decisions associated with these practices can impact the long-term financial health of USPS – in turn, impacting the likelihood that someday taxpayers may be unfairly saddled with liabilities the Postal Service is unable to pay.” We still believe this to be the case to this day. debts totalling over $124 billion, have consistently earned this agency a “high risk” label by the Government Accountability Office. According to financial information released by the Postal Service last November, USPS recorded a loss of $3.9 billion in 2018, which is $1.2 billion more than the previous year. As illustrated in the 2018 Compliance Report, this pattern of losses has been taking place for years. From 2016, package volume has increased from 5.1 billion pieces to 6.2 billion in 2018. Over that same time period, the Postal Service has gone from losing $800 million to $3.9 billion. Despite the increase in volume, the agency continues to bleed money, failing to make up for previous losses. The USPS continues to plunge further into debt, refusing to undertake cost control measures to help mitigate underlying issues. It is clear the agency’s business model is flawed and in need of extensive repair. Initiatives must be taken before the USPS falls deeper into disarray. Letter mail, USPS’s most profitable service, raised $13.1 billion in revenue for First-Class Mail in 2018. These revenue levels cover service costs by more than 200 percent. Though this may seem like a positive step in the right direction, the big question is – how is this revenue allocated amidst drastic overall losses? In light of this, NTU urges the Commission to continue to carefully and neutrally evaluate the rules on the contribution of competitive products to institutional cost, utilizing analysis from as many sources and perspectives as possible. We find it promising that the Commission aims to annually update its allocation shares based on market conditions and other relevant circumstances in a businesslike manner. NTU encourages the Commission to maintain an open dialogue about these conditions with all stakeholders to help facilitate reforms proposed by the U.S. Treasury’s Task Force Report to overhaul USPS’s business model. Furthermore, in 2015, NTU warned that the standards of reliability and affordability of mail delivery services are likely to decline. Since then the performance quality has continued to deteriorate. USPS fell short of its on-time goals for all First-Class Mail products. USPS also missed all First-Class Mail performance targets for three consecutive years. This pattern of mismanagement and underperformance leaves taxpayers with little faith in the agency. The customers of these services are not the only ones suffering from the agency’s unrelenting mismanagement. USPS failed to pay $6.9 billion for pre-fund pensions and retirement health benefits. Although the agency is required by law to make the payments, it has not done so since 2010. According to a Government Accountability Office report, the Postal Service Retiree Health Benefits Fund will run out of money by 2030 if the USPS continues to miss payments. Many current postal workers are unaware that the compensation they were promised could no longer be an option. These dedicated employees are under the impression they will have the ability to retire with comfortable retirement savings, but that simply may not be the case. The situation is only made worse by the possibility that taxpayers could end up being forced to cover benefit payments that USPS cannot make. The Task Force Report findings also highlight that operating costs will increase 70 percent over the next 10 years due to the need for the USPS to replace older vehicles. NTU supports many of the opportunities for reform and appreciates the recognition that American taxpayers face “significant financial risk” due to the agency’s “unsustainable financial path.” Fannie Mae and Freddie Mac have both already received taxpayer bailouts, and with the path the USPS continues to follow, it could be next. Another glaring issue is the USPS instituting the largest price hike on stamps on record. This is an illogical course for the Postal Service. Instead the agency should focus on better accountability to taxpayers and consumers. It is evident that the USPS’s financial challenges are a result of uneven management. Asking the public to pay more, without coupling those price increases to any serious reforms, is a squandered opportunity to change course at this troubled entity. The Commission must step in and delve into the USPS’s business model. It must push for a thorough and transparent understanding of what products and ventures are actually profitable for the agency, while also weeding out those that are financially unsustainable. The issue of underfunded and ultimately unsustainable retirement and other benefit promises must likewise be confronted and tackled. Currently there are no remedial mechanisms for these woes in place, leaving the USPS to continue to plunge further into disorder. NTU suggests the Commission outline a standard of delivery goals that USPS must meet and determine fair consequences for continued lapses in these rules. We also believe the Commission must propose realistic approaches, instead of simply writing off debts to taxpayers, toward solving the agency’s increasing financial troubles. The weight of your decisions will affect taxpayers across America in a tremendous way. We are pleased to share our views in anticipation of your 2018 determination.